By showcasing the KLEMENT mobility concept at the Geneva Motor Show, ŠKODA is providing an insight into the car manufacturer’s vision for the future of micromobility in cities: electric, innovative and modern. 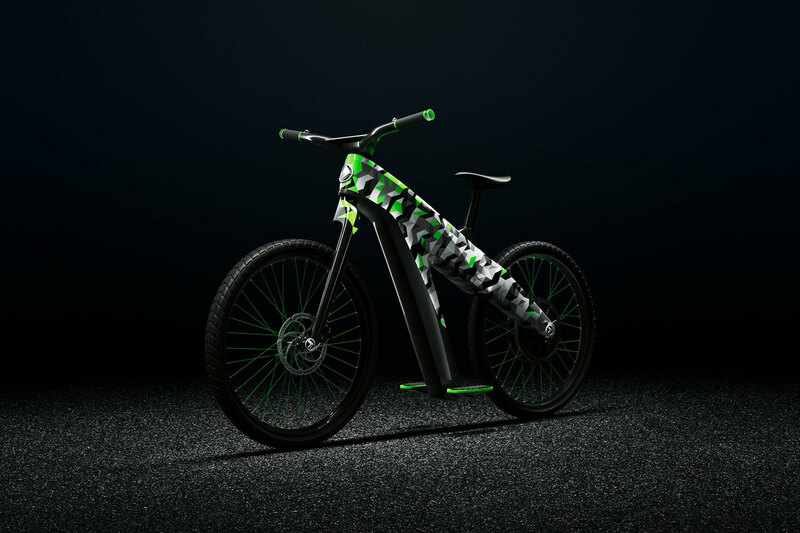 Mladá Boleslav / Geneva, 5 March 2019 – The integrated 4-kW rear hub motor accelerates the KLEMENT to a top speed of 45 km/h, and the throttle and brake control are made child’s play by the pivoting pedals. This allows for handling that is as innovative as it is effortless. A hydraulic brake at the front equipped with ABS as well as LED lights integrated into the concept guarantee a safe ride at all times. The KLEMENT also traces an arc back to the company’s roots – back to 124 years ago when the story of ŠKODA began with the manufacturing of bicycles under founding fathers Laurin & Klement. Agile vehicles like the KLEMENT make the daily commute to work in densely populated urban areas easier for example and are therefore becoming increasingly important there. This two-wheel concept was designed to cater for young people who are looking for a sustainable alternative to a car and who expect it to be easy to use, fun, as well as faster and more convenient than a conventional bicycle. The KLEMENT has a futuristic aluminium frame; the wheel suspensions make use of single-sided swing arms. 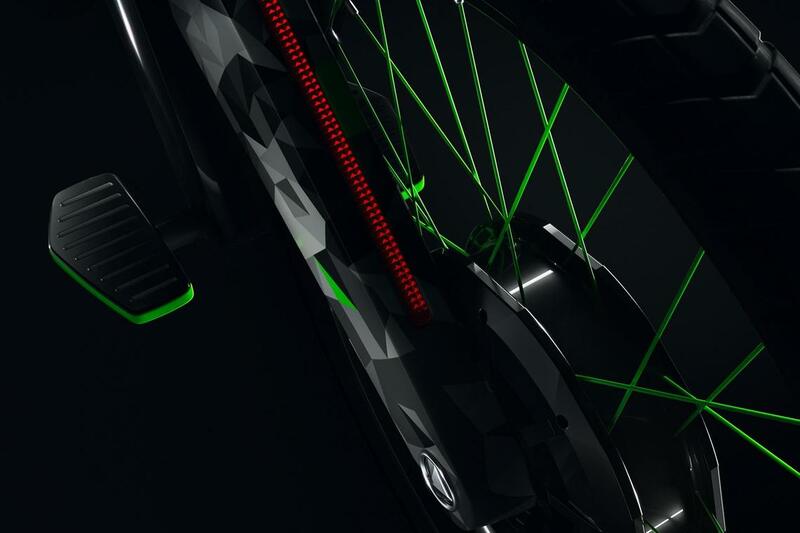 The mobility concept has no visible levers or cables and the rider’s feet rest on fixed pedals located where e-bikes ordinarily have a bottom bracket. Riders accelerate and brake the KLEMENT just like they would popular hoverboards – by tilting the foot pedals. If the user shifts their weight forwards on the pedal, the KLEMENT’s hub motor accelerates. If the pedals pivot backwards, a hydraulic disc brake at the front equipped with ABS is activated, as is regenerative braking at the rear wheel. 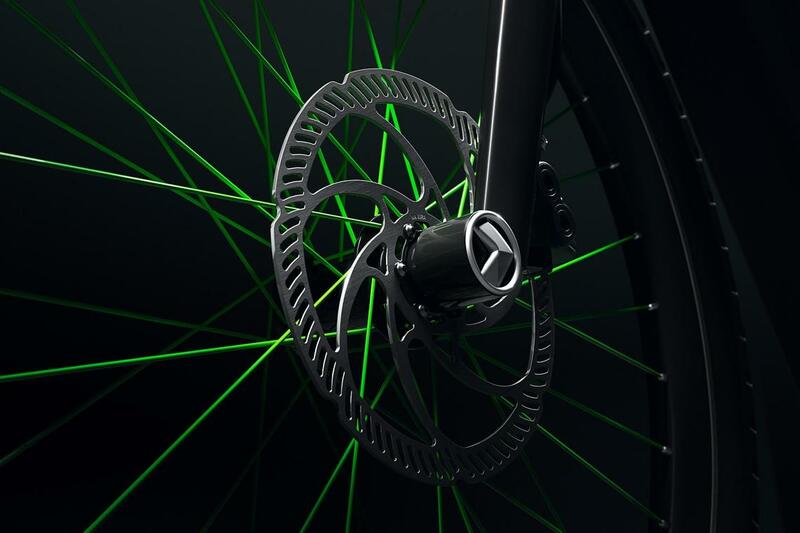 The wheel hub motor on the rear wheel outputs up to 4 kW and accelerates the bike up to a maximum speed of 45 km/h. The two lithium-ion batteries, each featuring 52 cells, have a total capacity of 1,250 Wh – providing a range of up to 62 km. These batteries can be easily removed and charged using a household plug socket; they can also be recharged whilst riding thanks to brake energy recuperation. With a target weight of approx. 25 kg, the KLEMENT is easy to manoeuvre at all times. The concept’s integrated light system includes an LED headlight and brake light, LED indicators integrated into the pedals as well as a daytime running light. A smartphone holder with inductive charging is located on the crossbar, just behind the handlebars. 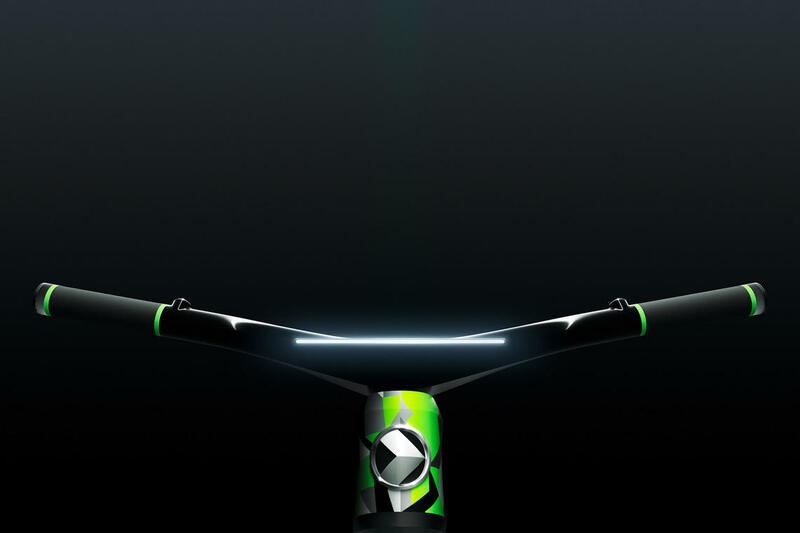 Smartphones are the key to unlocking the e-bike’s full connectivity potential. They can be used to link the KLEMENT to all of the innovative connectivity solutions offered by ŠKODA, such as the Coming Home function, the automatically triggered Emergency Call as well as remote diagnostics and maintenance. Owners can also programme a restricted area of use via Geofencing. Many additional features might be included in a production version in future, such as assistance systems, Function on Demand or special mousse tyres, which are made from a shock-absorbing foam also used in running shoes – therefore providing a comfortable and quiet ride. 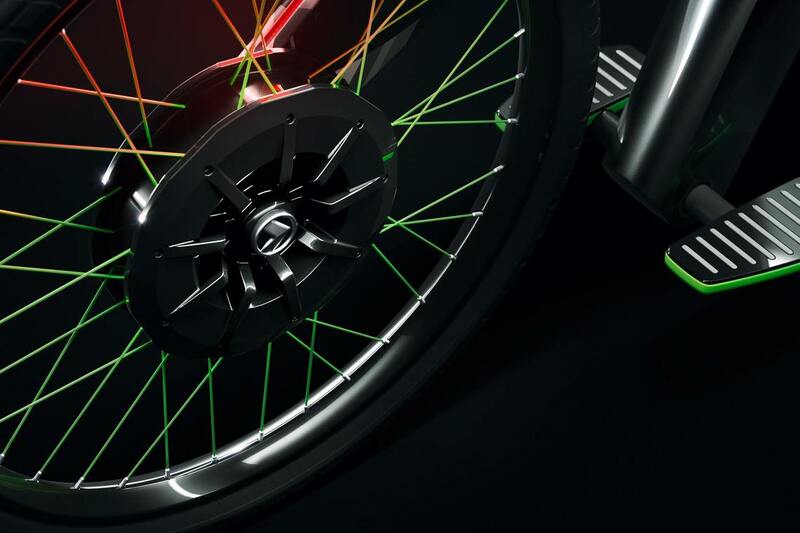 The KLEMENT electric two-wheel concept will celebrate its world premiere at the Geneva Motor Show from 7 to 17 March 2019.